Hello! Drape details are one of my favorites. This detail can transform a very simple piece into something quite spectacular! 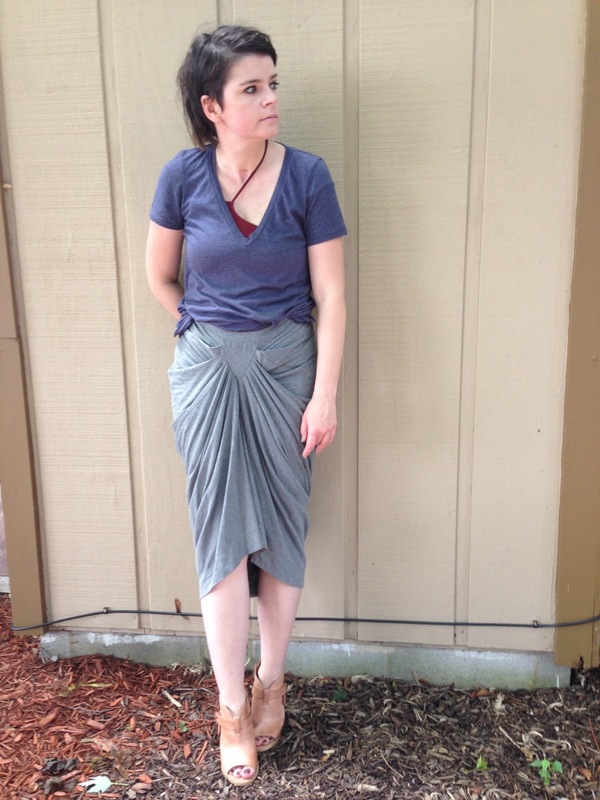 Take a simple T-shirt that has this flowy drape effect and you have an interesting piece that gets noticed. Same is true for this Full Circle skirt (old) I got on asos.com. It’s made of cotton in a very basic grey color, but this draping effect on the front makes it very unique and interesting. All you need to complete the look is a simple T-shirt and you’re done. Wearing: Full Circle skirt; Helmut Lang bra; Anthropologie peep toe booties.